From the time she arrived in Israel from Ethiopia, Edi was so embarrassed by her severely discolored teeth that she would instinctively cover her mouth with her hand any time she spoke. Edi’s teeth had turned brown from over-fluoridation of the water in Ethiopia. Her condition prevented her from speaking in class and inhibited even her social interactions. She was a child you would never catch smiling. Edi was 14 years old on her first visit to DVI, which was also her first-ever visit to a dentist, and it was her good fortune to be assigned to Dr. John Bengtson. Dr. Bengtson, a Christian dentist from Minnesota who had volunteered at DVI since 1981, was familiar with the condition and treatment procedure. As DVI does not typically provide cosmetic dentistry, Dr. Bengtson consulted with the dental director who agreed with him that here was an opportunity to truly make a profound difference in Edi’s life. It was an opportunity they could not pass up, so they made an exception. During one of his extended volunteer stints at DVI, Dr. Bengtson had to treat every tooth in Edi’s mouth. By the end of his stay, Edi’s condition had been painstakingly reversed. Through Dr. Bengtson’s dedication, Edi transformed into a confident and radiant woman who completed university and is today a successful working member of society. Her gratitude is reflected in a letter she wrote to Dr. Bengtson at the conclusion of her treatment. 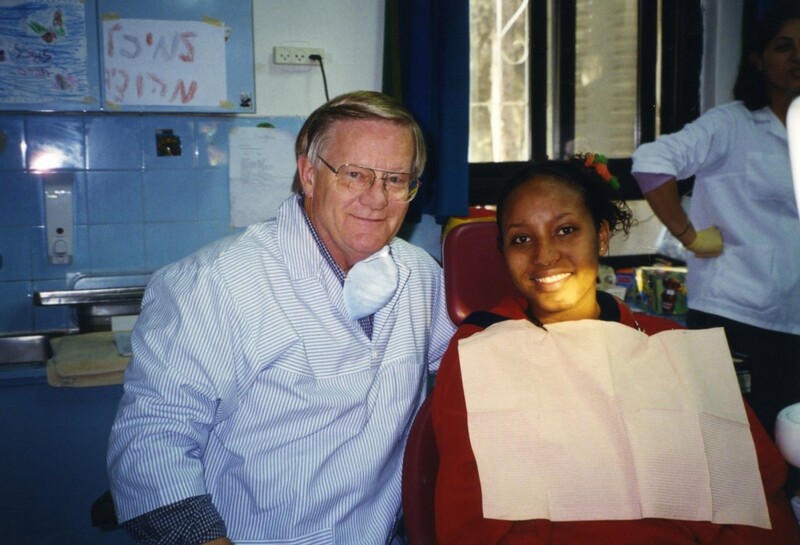 On March 24, 2008, during his 19th volunteer trip to DVI, Dr. Bengtson was honored by Jerusalem’s Mayor Uri Lupoliansky, for his enduring devotion to improving the lives of Jerusalem’s children, and in particular, for the positive impact he had made in the life of one Ethiopian girl. Dr. Bengtson describes his experiences at DVI as among the most worthwhile things he has ever done. 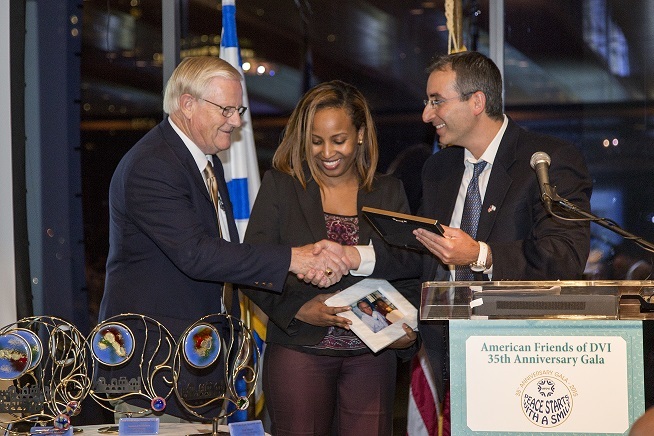 Dr. Bengton and Edi were reunited in 2015 when AFDVI celebrated DVI’s 35th Anniversary with a Gala in New York City. They each receive a framed photo which was taken of them during Edi’s treatment at DVI. Dr. Roy Petel, Director General of the DVI Clinic had the honor of introducing them and giving the special gift, and all of us were moved by the connection they feel and which will undoubtedly last a lifetime. 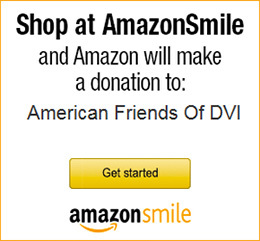 Read more stories about DVI’s patients and dentist volunteers HERE. Make your tax-deductible donation HERE! ← Happy Holidays and Thank You!